Vares press with hydraulic jack combines the convenience of the basket press and the efficiency of the hydraulic press. Presses are with strong and robust body and all parts that come in contact with juice are made of stainless steel. The presses are available with a 18-litre or 50-litre baskets. A smaller but very handy and robust press has a 18-litre basket and 2T hydraulic jack with lifting capacity of 2000 kg placed below the basket. Its advantage lies in its excellent handling when pressing, it is unnecessary to remove the jack. Pressing takes place in three steps. To adjust steps while pressing use the upper stainless steel pushing bar that has three openings. Start pressing process by setting the press in the lowest opening. After pressing adjust the press to the higher opening and repeat the process. Finish the pressing process while the press is set in the highest opening- this sets the pressing capacity of the jack to the maximum. 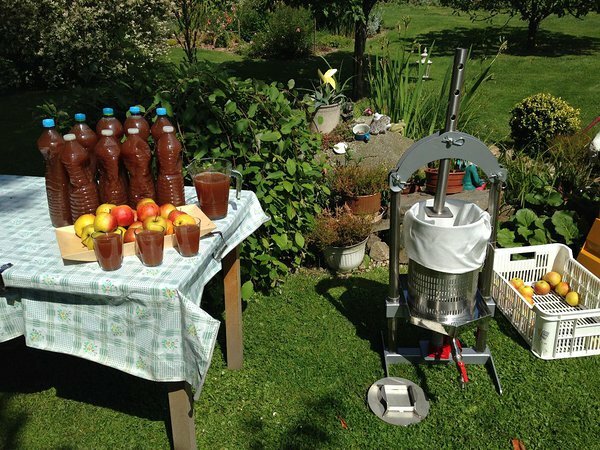 The press with 50-litre basket is more powerful and is suitable for pressing larger quantities of juice. The press has a massive construction and a 5T hydraulic jack with a lifting capacity of 5000 kg. For more powerful pressing, an oak wood chock is placed between the top plate of the basket and the jack. All parts that come in contact with the juice are made of stainless steel. By clicking on 'Read More' button, you can compare the technical details of Vares hydraulic juice presses.